Get help comparing jumbo mortgage companies now so you can find the best jumbo rates with highest loan amount limits on non-conforming refinance programs nationally. 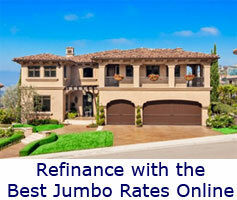 Many people living in high cost areas are searching for the lowest jumbo rates for refinancing. Our jumbo mortgage loans include many competitive refinance programs for people who need low payment mortgages. Jumbo refinancing will be quite a commodity in 2017. With the loss of home equity gains in the last five years, many borrowers find themselves in desperate need of a low rate refinance program designed for jumbo loans. Now more than ever, borrowers need million dollar loans to finance their dream home in the high cost neighborhoods across the country. If you are seeking a jumbo mortgage with a fixed rate below 5%, then Nationwide is the lender you should be working with. Jumbo mortgage programs are needed for loan amount greater than $417,500 in most states and more than $729,750 in high cost areas like California, New York and New Jersey. The current jumbo rates have fallen to the lowest levels in decades. Refinance Jumbo Loans Today - Get more info from our lending partners that offer California borrowers jumbo mortgage loans to nearly 3 million dollars with refinancing options for non-conventional mortgages. Homeowners in other states like Oregon, Florida and Virginia may qualify for jumbo home loans that can be financed in excess of 2 million dollars. Like conventional lending, borrowers can select a 15, 30, or 40 year term with fixed or adjustable rates. Interest only options may also be available for qualifying borrowers. Holding an ARM loan is a risk because your rate can go up when the rate resets after the introductory period is over. There are limits to how much it can go up; there may be rules that state the rate can go up in year 6 by 2%, and can go up 2% in later years, but never higher than 6%. Imagine if your rate went up 2-3%. That's several hundred dollars more per month! Some people find that just too risky to think about, even with refinancing a jumbo mortgage. If you were around before the housing market crashed, you know that what people expect to happen in the financial realm and what really happens sometimes can be very different. They will be able to sell the home for a profit before the ARM resets. Their income will go up in the next five years. They can refinance a jumbo loan before the reset and in some cases, refinance with no closing costs or lending fees. Interest rates will stay stable or even go down. Yeah, well, in the crash, millions of people were overextended on their homes, they lost income or lost their jobs totally, their home value declined, and they couldn't sell their home even at a loss. Things often do not work out in the real world the way people expect, so it is a good idea to plan for that. As most homeowners living in higher cost regions would attest to, the pricing for jumbo refinancing has been uncomfortably higher since the market crashed. Unfortunately most banks and private lenders stopped offering subprime loans, they also slowed the availability for consumers to access jumbo mortgage loans as well. Finally private money lenders have become more active in the larger loan market and thus jumbo mortgage refinance rates have become more competitive. While the fixed thirty year loans are still above 4%, the 7/1 and 5/1 ARMs have fallen below 3% for the first time ever. This give millions of homeowners in states like California, Colorado, Connecticut, New York, New Jersey, Virginia and the DC regions more opportunities for affordable interest rates on jumbo mortgages. Whether you need some cash out or just want to lower their payment with a rate and term refinance, our mortgage lenders offer great jumbo loans for everyone. Jumbo Mortgage Refinance loans are offered up 95% loan to value. The most popular 1st mortgage refinance is the 30 Year fixed rate loan. Check with your loan officer for current jumbo rates. 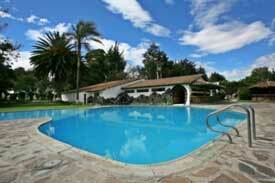 80-100 Refinancing loan to value. Bad credit jumbo applicants can refinance with appraised value after 6 months on qualified non-conforming programs. 80-95% combined loan to value. First Time Home-buyers can refinance with appraised value after 1 year. It's not too late for you to lower the payments by refinancing into a lower rate loan. Many homeowners are looking to refinance their existing mortgage & home equity loan, because it has a variable rate. Nationwide provides affordable non-conforming loans at a time when many mortgage lenders are penalizing jumbo loans with (see lender) add-ons to the interest rate. The secondary market has struggled of late, but we have partnered with portfolio lending institutions that are not as affected by the subprime crisis. How does a fixed rate jumbo mortgage compare to a variable rate jumbo loan? "Right from the start, Nationwide devised a plan to meet our financing needs. A few years ago the home values in Southern California tanked and our neighborhood really took a hit. Nationwide found a loan program that was created to help borrowers like us refinance their underwater mortgage. Finding a California jumbo lender was not easy, but Nationwide was most accommodating. Our loan officer, Daniel went out of his way to update us on our loan status and make us feel comfortable through the loan process." - J. Stephens, Anaheim, CA. This is not an advertisement for credit as defined by paragraph 226.24 of regulation Z. Nothing on this site contains an offer to make a specific home loan for any purpose with any specific terms. BDNationwideMortgage.com does not make jumbo mortgage loans or guarantee approvals for high balance refinancing as loans. BD Nationwide was affiliated with a federally chartered bank located in Maryland licensed to offer home loans in all 50 states. Copyright © 2001-2016 and Beyond, BDnationwidemortgage.com. All rights reserved. Do not duplicate in any form. Remember when comparing refinancing quotes that pricing is subject to change on jumbo mortgage rates.